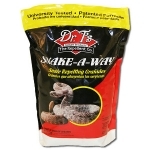 Dr.T’s Snake-A-Way® has been the most trusted name in snake repellent for decades. With greater than 91% repellency rate for rattlesnakes and garter snakes, Snake-A-Way® is a powerful snake repellent solution that will help keep your property free of snakes. Snake-A-Way® works by temporarily disrupting the snake’s sensory receptors, Jacobson’s Organ (auxiliary olfactory sense organ). This disorientation causes the snake to slither away unharmed, in search of fresh air. 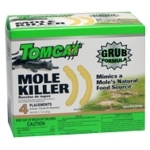 Tomcat Mole Killer is designed to mimic the moles natural food source - the grub in both shape and feel. Mole Killer was developed and tested on live, captured moles and contains special enhancers to attract moles. It kills in a single feeding. Moles usually die in their tunnels, often within 12 -24 hours of ingesting a single grub worm placement. 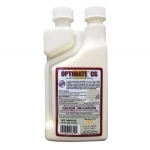 An effective fungicide for the prevention and control of various fungal diseases including Powdery Mildew, Black Spot, Downy Mildew, Anthracnose, Rust, Leaf Spot, Botrytis, Needle Rust, Scab and others. For Organic Gardening Use on Fruits, Nuts, Vegetables, Herbs, Spices, Roses, Houseplants, Flowers, Trees and Shrubs. Protects edibles from insect damage. Fast-acting foliar spray kills on contact. 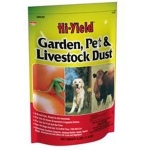 Kills Aphids, Japanese Beetles (adult), Cutworms & other listed pests. ALSO for use on lawns. Three convenient formulations. For premise & perimeter pest control in, on & around residential & commercial buildings, animal housing and lawns and ornamentals. One pint treats up to 24,000 sq ft when treating for litter beetles. Fast elimination of pesky fruit flies. 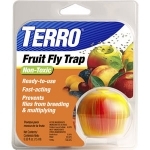 TERRO's Fruit Fly Trap is a non-toxic, ready-to-use trap that lures fruit flies into the trap and prevents them from multiplying in your home. 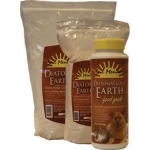 To be mixed with animal feed at a rate not to exceed 2 percent of the total dry weight of the rations. 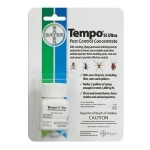 Tempo SC Ultra Pest Control Concentrate provides effective knockdown and residual control of crawling, flying and wood-infesting pests. Kills crawling, flying, and wood-infesting insects and protects barns, horse stables, and other animal quarters from invading pests. Just mix and spray to provide effective control. 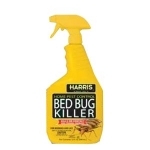 Kills over 60 pests, including flies, ants, and spiders. Shaking off pests has never been so easy. No mixing or measuring. Just apply a thin coating of dust onto leaf surfaces. 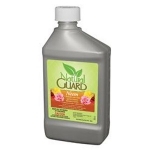 Works great on vegetables, fruit, ornamental shrubs or flowers, and even lawns. When applying, work backward to avoid over-application, and wear rubber gloves for safety. Keep children and pets clear of the area after applying until dust settles. 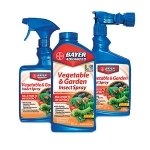 This product kills more than 65 garden pests. Available in 5% 1 lb. shaker. 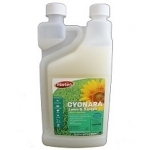 Low odor vegetable, ornamental, Rose, flower, fruit, pet and livestock insecticide. 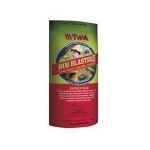 Provides both repelling and killing action of over 60 insects. May be applied until one day before harvest on listed vegetables. 4 lb. bag. 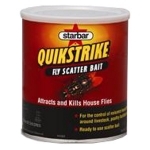 With the active ingredient, Dinotefuran, QuikStrike® Fly Bait kills nuisance flies quickly and controls those resistant to carbamate and pyrethrin baits and sprays. 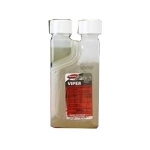 Its homogenous formulation contains Z-9 tricosene to attract flies and can be used daily where flies are a problem. Non-Polluting, non-toxic Sticky Roll is a reel-to-reel system of sticky tape that really catches flies! When flies first hatch, after feeding, or when the weather cools, they tend to congregate overhead, where they are caught on the roll. Once entrapped, they produce stress chemicals which are irresistible attractants to other flies. Eventually the tape is completely black with trapped flies. 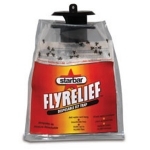 Recommended for perimeter use, FlyRelief™ trap catches thousands of flies. 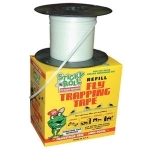 Insecticide-free, FlyRelief™ trap disposable fly traps come with built-in attractant and are excellent for use around pets, in the yard, kennel and garbage containers. The standard in fly baits for over 30 years, Golden Malrin® bait attracts and controls nuisance flies right down to the last grain of bait. 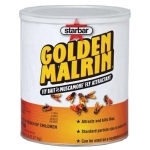 The Golden Malrin® Fly Bait two-phase action knocks out nuisance flies quickly and effectively. For indoor and outdoor rat and house mouse control. 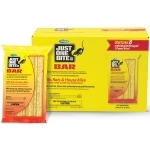 Features nibble ridges to promote rat and house mouse. Chewing. Bars break into 2 oz mini-bars for bait stations. Palatable. Individually wrapped 1 pound bars help to keep product fresh. Currently available in 16 oz bar and 8 pound box of bars. 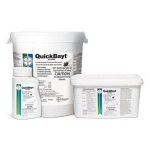 Provides broad spectrum control of insect pests in Lawns, Landscapes, Perimeter around Homes and Buildings. 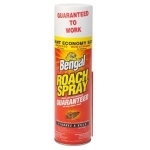 Eradicate annoying cockroaches with the Bengal Roach, Ant and Spider Spray. 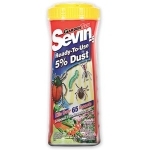 This effective spray was designed to flush and kill cockroaches, ants, spiders and other crawling or flying insects. The odorless, non-staining spray doesn't leave behind an oily-residue yet continues to be effective up to 4 months after use. 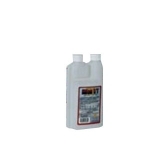 Professional strength insecticide/termiticide. Used to control pests indoors/outdoors on residential, institutional, public, commercial and industrial buildings. 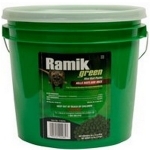 Gives residual control of roaches, ants, fleas, ticks, silverfish, spiders and many other insects.